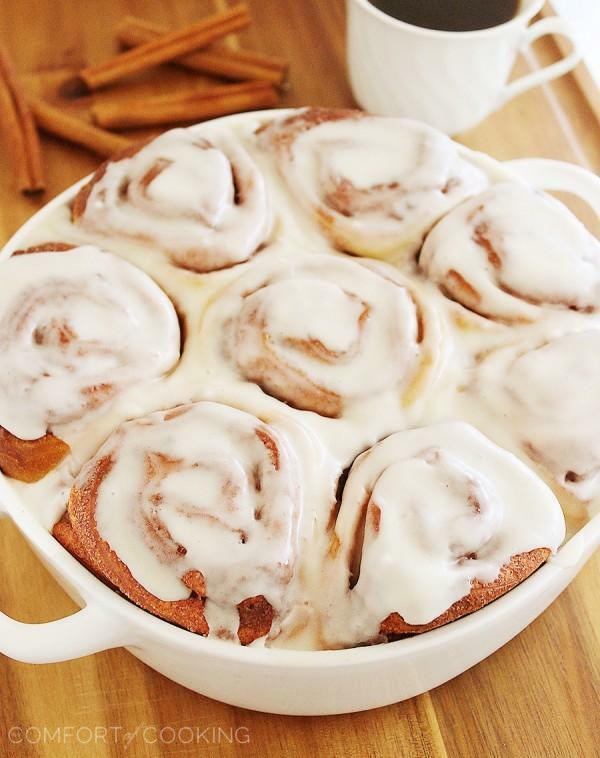 Bake a batch of these super soft, gooey cinnamon rolls to make your weekend wonderful. Is there anything better than a warm cinnamon roll with a cup of coffee after all? It’s my best (and easiest) recipe, and now it’s yours. Ah, I wish! Of course, with a little munchkin to think of, I can’t keep the house quite as cool as I like. But, we’ll get to throw open the windows and feel a cool breeze soon enough. In the meantime, I’ll keep pretending it’s fall, pawing at my comfy sweaters and baking batches of fluffy cinnamon rolls. As an avid fan of fall and all things cinnamon, I’ve made mountains of homemade cinnamon rolls since I started experimenting. And these, my friends, have to be the BEST I’ve ever eaten. 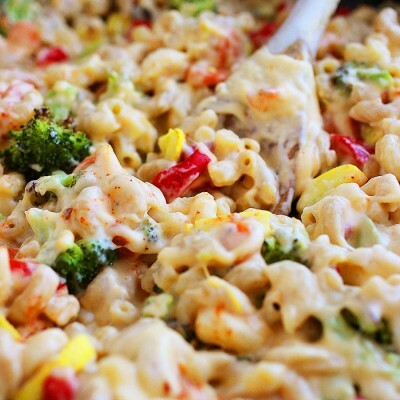 They’re also one of the easiest recipes from scratch I’ve come across. Though the canned variety will do in a pinch, there is truly nothing like the taste of a warm, gooey cinnamon roll made with love. And slathered in icing, of course. Fresh from the oven and served with a cup of coffee or tea, these babies are heaven on Earth. Every layer is full of flaky, buttery goodness and warm cinnamon-sugar flavor. Bake these for a special breakfast or brunch treat one chilly morning, especially if you’re feeding lots of holiday guests. 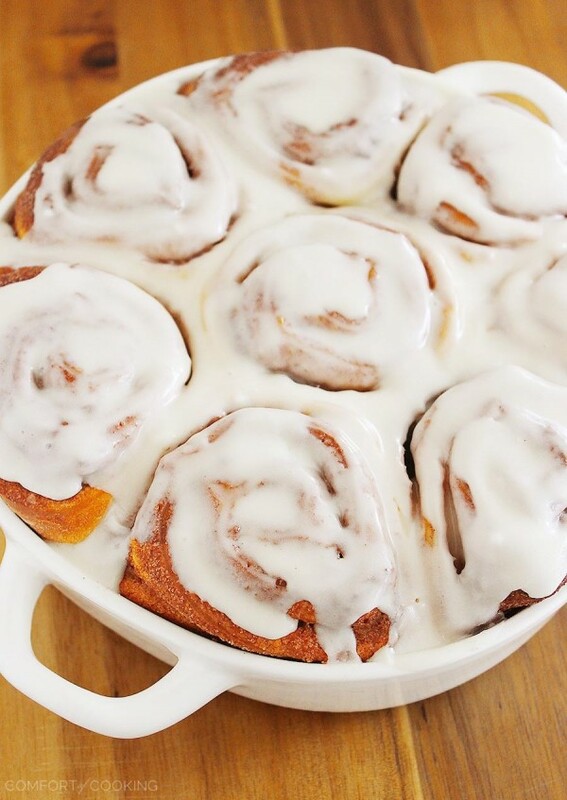 I know you (and whomever’s lucky enough to enjoy them with you) will agree these cinnamon rolls are second to none! In a large bowl, or the bowl of your stand mixer fitted with the paddle attachment, mix milk, sugar, melted butter, salt and egg. Add 2 cups of flour and mix until smooth. Pour in yeast mixture. Mix in remaining flour, 1/4 cup at a time, until dough is easy to handle. If mixture appears too dry, add 1 tsp. water at a time, mixing well after each addition. Mix butter, powdered sugar, and vanilla. Whisk in milk 1 tablespoon at a time until the glaze reaches desired consistency. (If you like a thinner consistency glaze, add more milk.) Spread over slightly cooled rolls. When rising dough, I place an ovenproof bowl (covered with a dry dish towel) in an oven preheated to 200 degrees, then turn off heat before adding the bowl. If it seems overly hot, I will prop the oven door as the bowl sits in the oven. 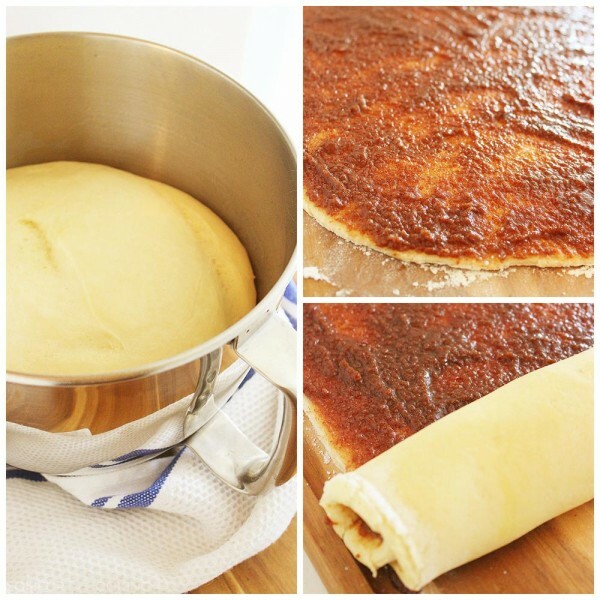 To save time, I make my cinnamon-sugar filling and glaze while the dough/rolls are rising. If there’s an easy way to shove cinnamon rolls in my body I’m alllllll for it! Love this, girl! I know what I am baking this weekend and If they are as delicious as I bet they will be, there’s no way my boyfriend will be allowed to take “leftovers” to his office! 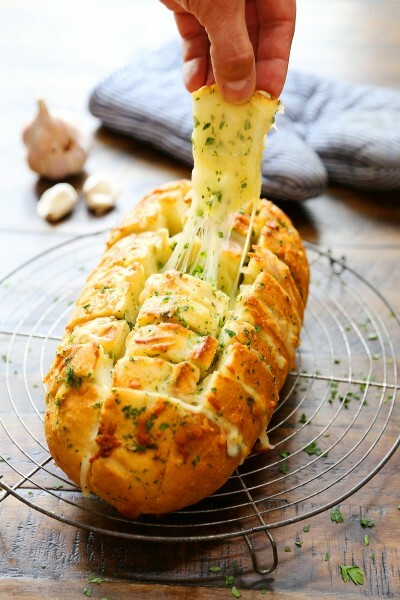 Seeing that fork pull apart the soft dough has me wanting to put my hand through the screen! Georgia – these are way, way better than any store bought cinnamon rolls I have EVER seen! The dough is so fluffy – I so wish I had one of these right now! 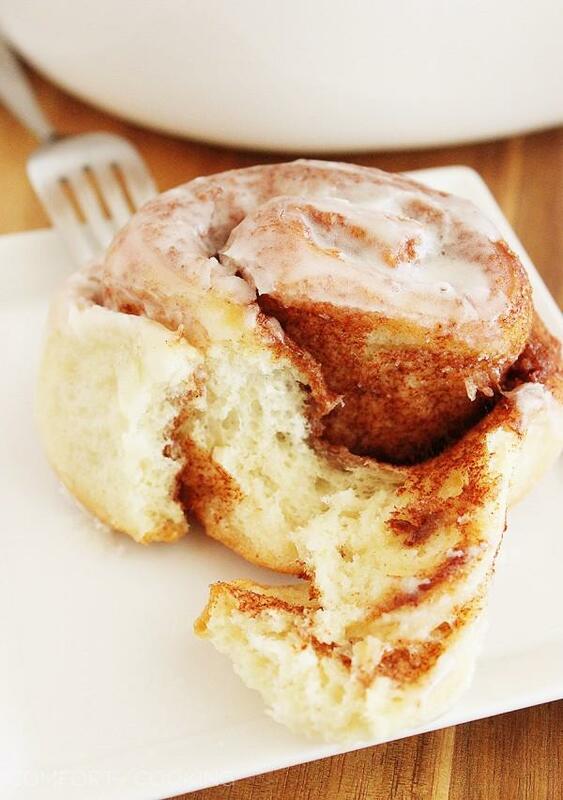 Nothing like a pillow-y cinnamon roll in the morning! Gorg! 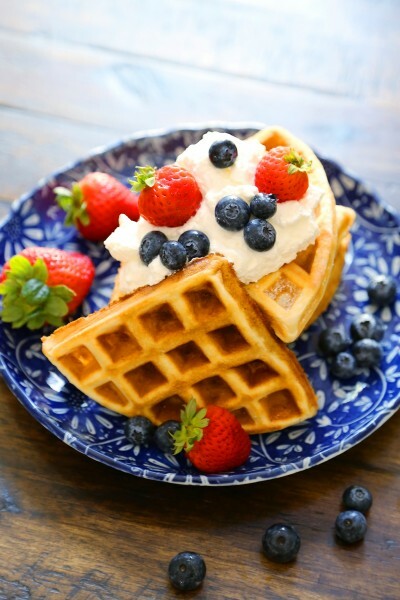 I love easy treats like this – and that generous slather of icing! SO FLUFFY AND SOFT. 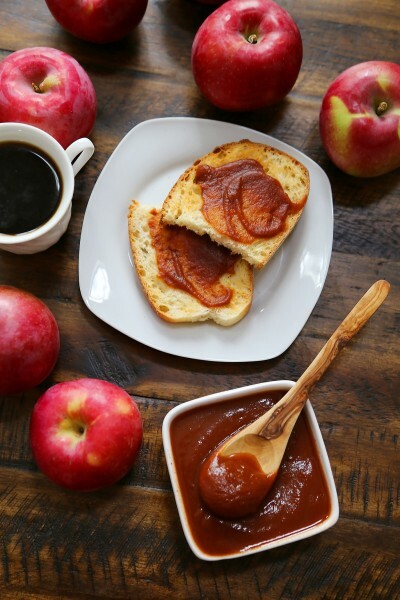 I am saving this recipe for a cozy-cool fall weekend morning! Looks phenomenal. I am a huge fan of Cinnabon, so doubt I would love these. I’m so intimidated to roll out dough, I gotta just do it. I am dying for some real Fall weather!!! I can’t wait until the picture is complete with a cool breeze, colored leaves and your cinnamon rolls! I can’t wait to make these! ahhhhh, these look perfect! cinnamon rolls are my fav!!! Gorgeous rolls, just what I need with my coffee! Hi. 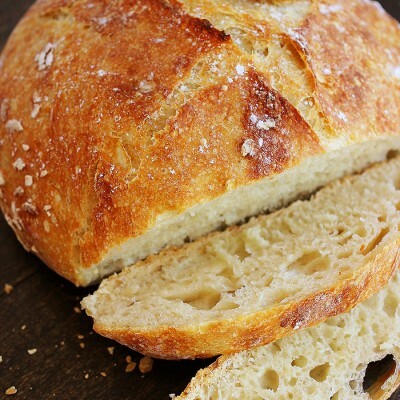 What kind of yeast did you use and how many teaspoons or tablespoons of it? What brand? Thanks! I used 2 1/4 teaspoons (one 1/4-oz. package) Fleischmann’s brand yeast. I need to make these for the weekend! So delicious! 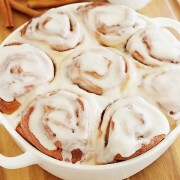 I so love cinnamon rolls and never make them! I can almost smell these through the screen and really need to make them happen! I love the pillowy softness of that dough. Yum! These look beyond perfect! 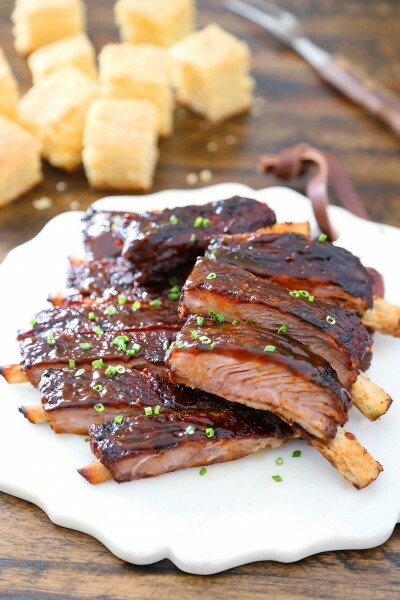 The texture of the rolls and that glaze – so dreamy! My mom made these today after I gave her this recipe and they turned out awesome! We left off the glaze because we find it too sweet, but they were really good anyway. Very soft and totally delicious! These look heavenly! I’d so love to wake up to the smell of them baking. I will however take your scorching sun. Fall’s not treating us very well in michigan. Can I get them ready to bake and then let them sit in the fridge overnight? 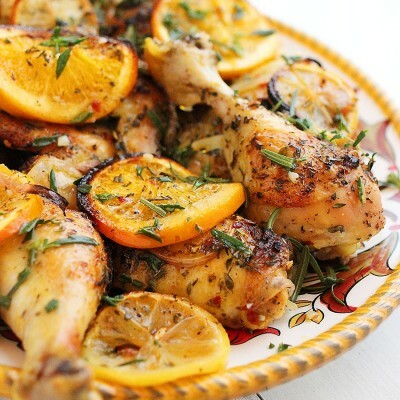 I’d recommend baking them, then before serving, warming them in your oven at a low temp the next day. Sorry, I should have been more specific. I usually will preheat, then turn off before adding the bowl of dough. The tips have been updated! i just want to ask about the sugar in the filing , is it brown or white ?? Oops, I meant to clarify that it is brown sugar. Thanks for catching! So you have to let the dough rise twice? And both times its down the same way? I just made these tonight and they turned out divine! I added a little bit of cream cheese to my glaze. Yum! Cinnabon has nothing on this recipe! I’m so glad you enjoyed this recipe, Michael! If you’re asking if I have more cinnamon roll recipes, you can use the search box at the top right-hand corner to find more. Oh my gosh, I just want to say I am so so so happy with this recipe!! I bake (like A LOT) and everytime I do, I always find something I don’t like and I always make ‘excuses’ to friends who seemingly always enjoy everything I bake. I just always feel like it’s ‘okay but it could have been better.’ and I didn’t expect that would ever change, as I’m very perfectionistic. However, I made your recipe today and holy cow, these are AMAZING! As soon as I tasted them, I force fed all my roommates these because they were so perfectly delicious!!! I was sceptical about the frosting at first, just because the butter made it less white than I would have liked, but the taste is just perfect and I’m in love with this recipe. This was the first time I made cinnamon rolls and I’m so glad I chose this recipe! THANK YOU SO MUCH! I’m wondering if you could start the dough in the bread machine on the ‘dough’ setting through the first rising? It would sure make this recipe even easier! I have never made these in a bread machine, so can’t advise on the result. Sorry! 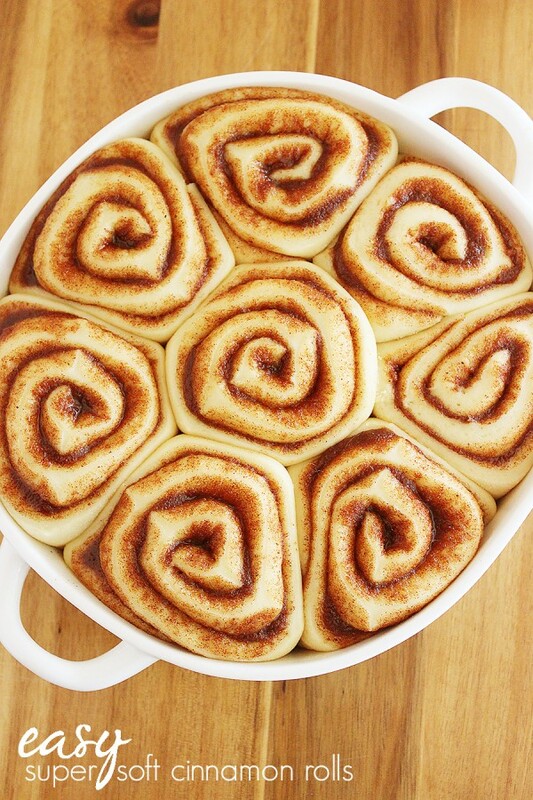 These were the absolute best cinnamon rolls I’ve ever made! I’ve tried dozens upon dozens of different recipes trying to achieve a soft bread cinnamon roll and been disappointed time and again. Your recipe was absolute perfection! I made a trial batch the weekend before Easter to see if they were as good as I hoped and they were!!! They made the cut for Easter breakfast which is a huge feast at our house. Thank you so much! Hi .. just want to find out if I could use bread flour instead of plain flour ? I have never made these with bread flour, so couldn’t attest to the result. But, you can certainly try it! I think the rolls might end up a bit more dense with bread flour, though. Absolutely delicious. Made them for my fam and in-laws. The dough was light and perfect; really, exactly what I hoped for. I’d add more filling next time, and we added some sour cream to the icing mixture to cut that sort of cloying sweetness that can happen. But that’s really just a minor adjustment to a lovely, cozy breakfast item. Thanks so much! These rolls came out PERFECT. They were so soft and so tasty. only a tiny side note though: instead of pouting the melted butter (for the filling) in all at once, I did a little at a time. I ended up using less than required. Everyone in the family LOVED these rolls! Hi, I am from South Africa, we do not have All Purpose flour, what can I use as a substitute. Thank You. Do you have plain flour? It is the same as all-purpose, just different name. A standard size 9-inch cake/pie pan is fine, but you can also go with a slightly larger pan, if needed. Luv these!!!! I was scrolling online and saw your cinnamon rolls. They looked devine. Since i havent had years to practice baking (im 13) i have difficulty sometimes choosing a recipe to try. This has to be my favorite recipe so far and so is this one pound cake i did. I had a question.. If I wanted to do double amount, do i use double the yeast???? Thank u if this is answered. Hi Isabel, thanks for writing in! I’m so glad you have enjoyed these cinnamon rolls. I have never doubled the recipe, but I would recommend making two separate batches of cinnamon rolls, instead of doubling the ingredients. Good luck! 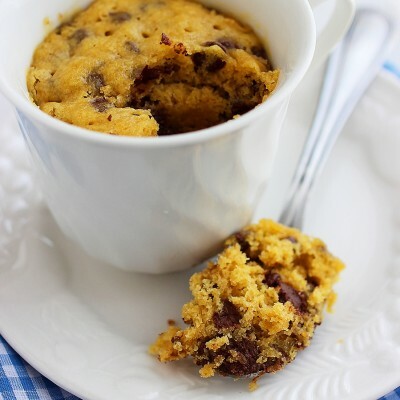 can these be made the night before and baked the next morning? I have never tried it, but I think it would work out fine. You can also bake 1 day ahead, and reheat the next day. I made these today after spending some time online researching and reading reviews. I have tried many times over 23 yrs of marriage, to make *cinnamon buns like the bakery*. I have to say, these.are.amazing! Honestly, if you have failed in the past like I have you HAVE to try these!!! I am making more tomorrow morning to take for coffee at a friends. 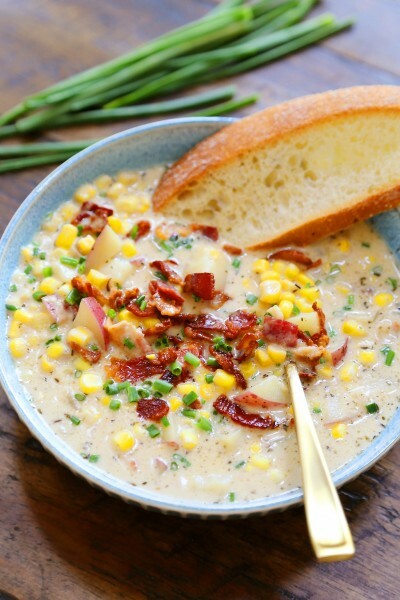 Can not say enough good about this recipe!! 5 stars! Hello! These look delicious and we are waiting for the dough to rise as I write this. Did you use active dry yeast or instant rise? I believe I used active dry yeast, but either would work fine. I made these yesterday morning for Christmas and they were fantastic! Hello! I love your recipe and I did it just this afternoon – would it be okay to publish your recipe in my Facebook page (www.facebook.com/theauditorinthekitchen)? Thanks! So glad you enjoyed! Feel free to publish a link to my recipe, but due to copyright rules, I cannot allow you to republish the entire recipe. Thanks! Thank you for these cinnamon rolls. Because of them I have been dubbed “cinnamon roll queen” by my family! I even made them for my grandparents for Christmas and they loved them as well. I am pleased with your recipe because it is truly from “scratch”. No funny stuff! I would suggest adding just enough flour to the dough during mixing to make a sticky dough (3 and 1/4 cup aprox.) But then during the kneading process, ( I knead by hand, if you don’t this might be a bit tricky) start out by sprinkling the sticky dough with a generous amount of flour and knead it in. The dough should get sticky again after a few turns, if so just sprinkle on some more flour. continue in this way adding flour a little at a time until the dough mostly stops sticking to your fingers. The dough should be soft and spring back a little if you poke it , slightly sticky is okay, but it probably is easy enough to handle by now. About the filling, I have done cinnamon rolls a few times and a little filling oozing out seems normal. Just make sure you have your prepared pan close and cut one at a time ( I use nylon string to cut my rolls) so that the moment the roll is cut you can quickly move it to the pan , minimizing filling loss. Also if your filling is just too plain “liquidy” try sprinkling more brown sugar on top of it and swirling it in with a spoon until your filling looks like sugary sludge. I hope this helps, I realize that this is enormous comment but if it helps you….. Happy Christmas and Happy cooking. I forgot to mention that the above comment was for Stephanie. Thanks. I made these this morning after failing at a recipe last night and they turned out beautifully. (I didn’t use your filling or icing recipe but they were very very similar. I’ll use your next time!) I added pecans to my filling which made it all the more delicious. The dough was perfect though; it needed the full 3 1/2 cups of flour and the last 1/2 cup or so I added as I kneaded. I don’t have a stand mixer but a hand mixer with one of the beaters on the lowest setting worked just fine. A standard pie pan was probably not big enough because the outer ones were done before the inner but that’s easily fixed by just using a larger pan! This recipe is a keeper for sure. I made these yesterday and I LOVED Them! Thank you so much for posting this recipie. Question: has anyone made these then froze them for later? As they do take some time to make I was thinking I could make some, then freeze them before baking so I have them ready for whenever we want to bake them? Suggestions? melted butter, brown sugar and cinnamon for the filling did not work for me. It was so runny, it all ran off the sides before I could roll it up. Thank you so much for sharing, I made some today , I made some changes on my filling. It came out light and fluffy just like I have been dreaming of. It helps to refrigerate for 10 minutes before rolling in the filling. Made these cinnamon rolls today. BEST. RECIPE. EVER!!!! I made them because today is my anniversary with my husband and why not make cinnamon rolls. Pillsbury can’t compete with these. On a side note, I used all organic ingredients and I made the icing (which was delicious as well)!! Next time try adding the melted butter on the dough, then sprinkle the sugar/cinnamon mixture over it. Then roll. I’ve never enjoyed cinnamon rolls because they’ve always tasted store bought. We made your recipe last night and they were delicious. Thanks so much for sharing! 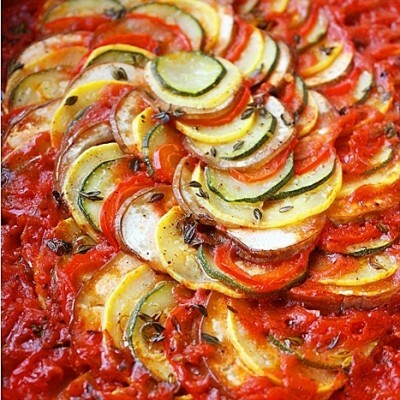 Hi, have you ever used whole wheat flour for this recipe? We are a gaggle of volunteers and starting a brand new scheme in our community. Your web site provided us with useful info to work on. You’ve performed an impressive job and our entire community will be thankful to you.